In today’s day and age, businesses need to be prepared to accept all types of payments quickly and easily. Unfortunately, many businesses do not have the capability to accept and validate payments in nontraditional settings, such as in an online environment or away from the office. In order to keep up with mobile trends and meet today’s customer expectations regarding ease of payment, many companies are looking into alternative credit card processing solutions. 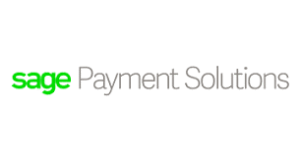 Sage Payment Solutions provide companies with a variety of ways to accept and validate payments on the spot. The software is fully integrated into the company’s ERP solution, streamlining the reporting and making the entire process seamless for both the business and the customer. Find out how Sage Payment Solutions can give your business the tools it needs to expand payment options.